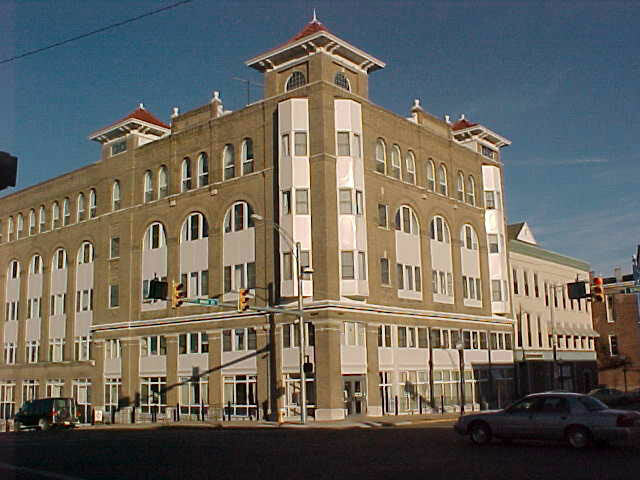 The Cambrian is a refurbished hotel at the corner of Broadway and Main in downtown Jackson. 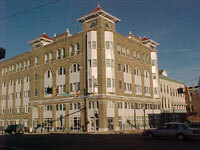 Shopping is convenient and the building has numerous amenities and a marvelous courtyard for use by the residents. Air conditioning, elevator, stove, refrigerator, laundry facilities, all units carpeted, smoke detectors, water sprinklers for fire protection throughout the building, community room, exercise room. Click here to see photo's of the Cambrian's 20th Anniversary celebration!